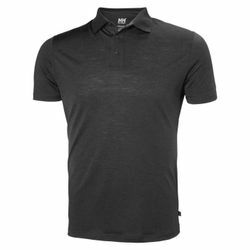 Helly Hansen HH Merino Light SS Polo Shirt. 100% merino wool, short sleeve polo with great breathability and natural odor resistance. HH Merino Light are lightweight , 100% merino wool products. The natural fibers, offer great comfort, odor resistance, and breathability. The ideal product for any outdoor activities in the spring/summer.